I've previously listed the writers in Swords of Darkness; now I have a list of the stories! I've just received my copy, so I haven't read them yet, but this book is at the top of my list! And everyone can get their own copy January 1, 2016! L. C. Mortimer's fantasy anthology, Swords of Darkness, is now on Goodreads! It's on pre-order at Amazon until January 1, 2016, but that's not too far away! There's not a lot of info out there on some of the writers, even those who have several books out, so I'm interested in how these writers handled the subject. I am looking forward to reading this. My story is about a 14 year-old girl who receives a family heirloom in the form of a sword. She then finds her way into a land where she uses it—with a little luck—to great advantage. I can't say much more without spoiling the story, but there is a bit of humor involved. This is my first story in the fantasy genre, but it might not be my last! Swords Of Darkness - Coming Soon! Do you like fantasy anthologies? With, perhaps, a dragon or two? Then there's a new Kindle ebook available for pre-order on Amazon just for you! And it happens to include one of my stories! The anthology is titled Swords of Darkness, and L. C. Mortimer is the editor. It will contain ten stories in all, and every one will have a sword involved in some way. I don't have a list of stories yet, but the book should be available January 1, 2016. My story is called The Sword of Hexworthy Manor. It's about a fourteen-year-old girl named Gwendolyn with a very active imagination. It's her impressive imagination—along with an heirloom sword—that leads her into an interesting, and sometimes humorous, adventure. Again, enough of my blather. Here's the book! And a sword holds darkness. L.C. 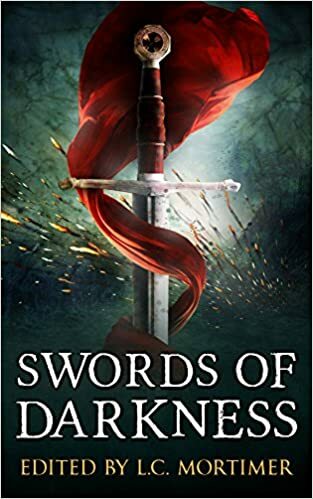 Mortimer's editorial debut features tales of magic and darkness from authors who explore what it truly means to wield the power of a sword. From a courageous young lad who wants to honor his grandfather to an unlikely hero who will face anything to win the heart of the one he loves, these stories will lead you on adventures you won't be able to forget. Gwendolyn is a young girl living with her grandfather and a housekeeper named Mildred in an old manor near Hexworthy, a village in the moors of Dartmoor. As the last direct descendant of the family, he presents her with a sword, the only family heirloom left of any value. With her imagination in overdrive, she goes to play in the old ruins on the estate and finds, quite by accident, the way to a world she never knew existed. But with passage now sealed, can she ever return home? Several people have told me my stories would make good screenplays. I hope that's true because it means they've found something worthwhile in what I write. The problem is that I don't know much about writing screenplays. And while I may never write a screenplay, it's nice to know there's a tool available should I want to. Amazon recently launched Amazon Storywriter, a tool for writing screenplays. It is a tool being promoted by Amazon Studios as a way to get new ideas and writers involved in the production of videos and movies, and, if I may go out on a limb here, make money for Amazon. If it gives us beginners a chance, that's all right by me. Part of the process is to allow others to provide feedback during the early parts of development. This can be critical for beginners, and helpful for every writer. The tool stores the script on Amazon's Cloud, so you can access it anywhere, even on your phone. To edit the script, you do need a Mac or PC. You can also work off-line using a free Chrome plug-in called Amazon Storywriter Chrome App. When you're all done, you can submit it to Amazon Studios, and shortly thereafter, move to a mansion in Beverly Hills. Ya gotta think big! I don't read any where near as much as most writers, but every now and then I see a book I'd like to read. Even less often is a book I feel I must read. 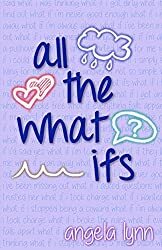 All The What Ifs by Angela Lynn is one of those books. I don't know if you're familiar with Angela, but I know her from Twitter. You can find her there by clicking HERE. She's a bit different. For example, she talks funny sometimes. OK, most of the time. Inanimate objects attack her. Like clarinets. She goes crazy around free slushees and consumes wine at inappropriate hours. She seems to have an issue with hurting herself, even if only in the virtual world. If the book has any trace of the Angela Lynn from Twitter, it should be a hoot. Not necessarily a funny sort of hoot. It could be rather dramatic. I don't know because I don't have a copy yet, but a hoot nonetheless. It will be completely hootable. Good God, now I'm talking like her. It's currently available from Amazon US and Amazon UK for Kindle. I'm hoping a paperback version will be available soon. A while back, I submitted a couple of flash fiction pieces to the Apex Annual Flash Fiction Contest. As expected, I did not win. So, I have these two little Christmas stories without a home. One of them may show up on this blog towards the end of the month. Update: Just to let everyone know, Dead Men's Tales, with my story Skarett's Treasure, was published in February 2017. You can find it HERE. As far as my pirate story at Fringeworks—they said it would probably be published in late September. I'm reasonably certain it was to be this year. I'm becoming more doubtful than ever it will see the light of day on a printed page. I have a post-apocalyptic story submitted to Lisa Shambrook, but I haven't had any feedback or updates on that project's status in some time. Lastly, I submitted a fantasy story (my first) to L. C. Mortimer for possible inclusion in an anthology, but I haven't heard back on that yet. She says there have been a lot of stories coming in, so the completion will be tough. I think my batting average is dropping into negative numbers!